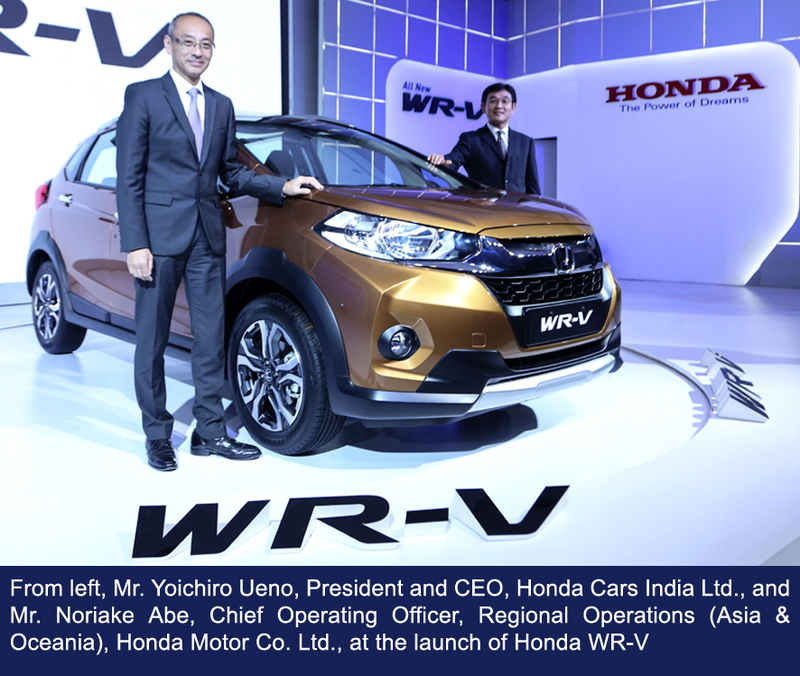 Honda Cars India Ltd. (HCIL), a leading manufacturer of passenger cars in India, introduced its much-anticipated new model, Honda WR-V. The WR-V is an all-new Sporty Lifestyle Vehicle based on Honda’s globally successful Jazz platform. It features a Sporty and Sophisticated exterior design, high quality spacious interiors with advanced equipment, top of the class fuel efficiency, powerful performance and full range of safety features.